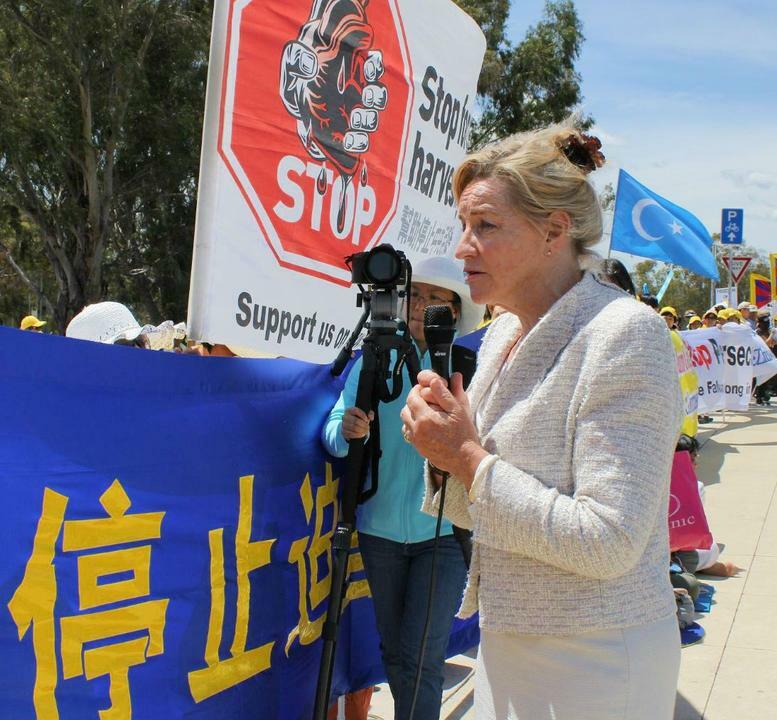 Several Australian Members of Parliament (MP) joined a rally outside Parliament House in Canberra, where the China-Australia free trade talks were held a day after the G20 Leaders’ Summit concluded. The rally called for an immediate end to the persecution, especially state-sanctioned forced organ harvesting from living Falun Gong practitioners. Independent Senator John Madigan pointed out that trade must be based on morality and conscience in order to have a positive impact on society. He said that because the economy exists for mankind, trade must first answer to basic human rights. “I welcome practitioners of Falun Gong. Around the world you continue to campaign against religious persecution and the practice of forced organ harvesting in China,” said Madigan in his speech. 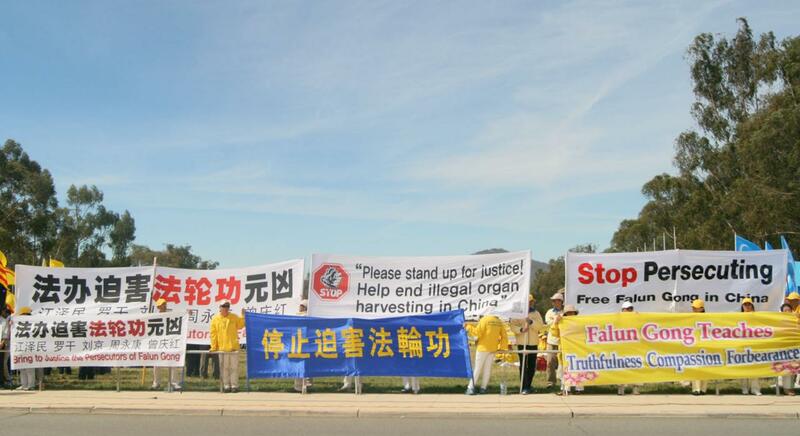 He recalled that last year, the senate passed a bill urging Beijing to stop live organ harvesting, but the crime didn’t slow down, and the victims were mostly Falun Gong practitioners. “But every human life matters. Every human life has value. I welcome you all here today. I wish you well with your protest. I urge you to continue your struggle,” Madigan said. Madigan believes that the Australian government values trade with Beijing more than human life and calls it an act of shortsightedness. “I can’t just turn a blind eye. Because to do that, you are complacent. And once again, there is big money involved in [organ harvesting]. If that is what it takes to make money, I don’t want to be a part of it,” said Madigan. Alannah MacTiernan is a member of the Australian House of Representatives for Perth. She pointed out that Falun Gong brings society harmony and blessings, and that lifting the ban on Falun Gong would benefit Chinese society. 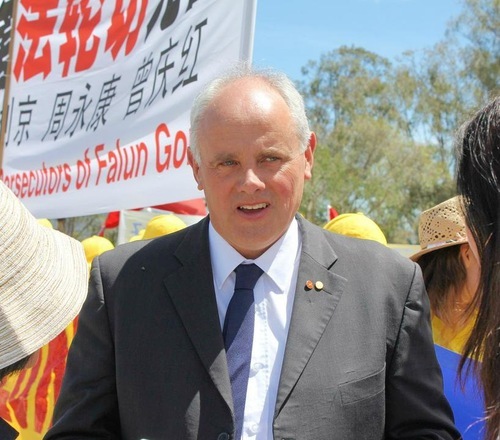 Joe Bullock, Labor Senator for Western Australia in the Parliament, wrote a letter to the Falun Dafa Association. Senator Bullock expressed his concern over forced organ harvesting from living practitioners in China and said he hoped that the practitioners could take this opportunity to expose the issue to the public. When Chinese President Xi Jinping gave a speech at the Australian Parliament, the Green Party simultaneously held a forum on human rights in China. 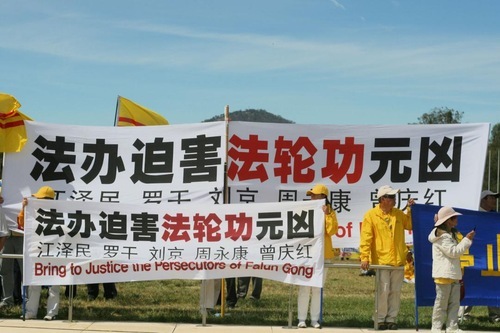 Representatives of Falun Gong, Tibet, democracy activists, and the Xinjiang Autonomous Region were invited to the forum.